Bittersweet Thankfulness – Beware the Comfort Zone! Well, we made it through Typhoon Haiyan (locally called Yolanda, not sure why it’s called something different locally, but that kind of sums up life here…it makes no sense sometimes!) We woke up to cloudy skies that slowly made way to the partly sunny skies we are more accustomed to this time of year. A few brisk breezes blew through, just enough to remind us that not all is well in Whoville. Late this morning, pictures and videos began popping up on facebook, but as of late, very few reports are coming in from the impact zone. The media is eerily quiet, and as we sit and wait, we can only hope the “strongest storm on record” did not live up to the hype. Unfortunately, I fear that’s not the case. 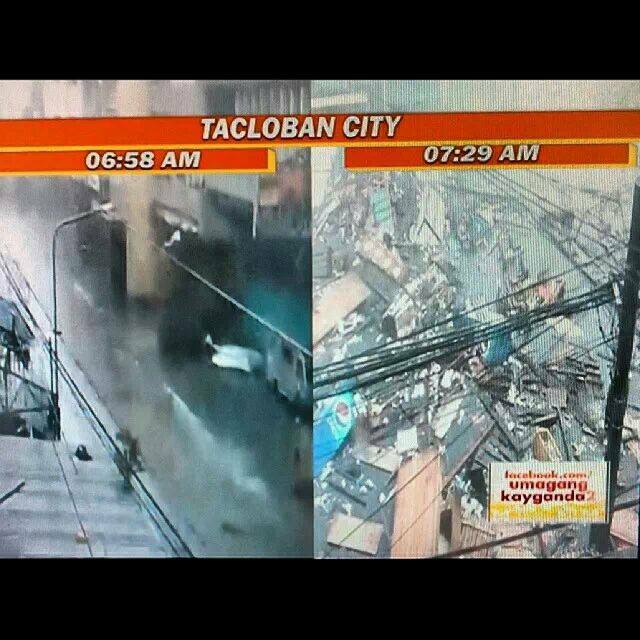 Tacloban City, Leyte, where Typhoon Haiyan came onshore. What 200 mph winds can do in half an hour. Just like last year, and the year before, we were spared. Three years, three close calls. I know people deal with “guilt” in situations like this, from car accidents to natural disasters, wondering why they were spared, and others were not. I’m struggling with this a bit. It’s hard to say, “praise God! We were spared! Thank you Lord, you are SO good!”. He is good, in the quiet, and in the storms, but wow, it’s hard, and it feels almost smug, to be thankful for the mercy that those a stone’s throw away can’t experience. Don’t get me wrong, I am absolutely grateful. It’s just bittersweet. I could go on and on about this, but right now, my thoughts and emotions are so jumbled it would make no sense. Please continue to pray for the Philippines. Typhoon season is not over yet. We’ll keep sending prayers your way, Marlene. For you, Dan and your family as well as for everyone impacted by the hurricane.